A lot of historians who work on the First World War really struggle to get across the sheer scale of its killing fields, of mechanized slaughter. That’s really not a problem that New Zealand historians have when talking about Gallipoli. 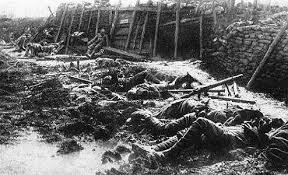 The French have Verdun and the English have the Somme. New Zealand has Chunuk Bair, a hill in a land of hills where 760 men from the Wellington Infantry battalion clambered to the summit before dawn one morning in August. By sunset just 70 were left. Of the 8556 New Zealanders who arrived at Gallipoli, barely five hundred left with both their minds and bodies intact. Nearly a third were killed outright on those hills. And in a country as small as New Zealand, the numbers lost to this war are even more sobering. Ultimately a full five per cent of New Zealand’s military age males died in the space of four years, and the bloodsoaked shores of Gallipoli became a kind of shorthand for this staggering waste of life. Those who survived with mental or physical trauma would come home to societal attitudes that have barely changed in a century. Those who lost limbs were swiftly channeled into government training programmes that sought to make them cobblers or cabinetmakers, with the expectation that they should work for a living regardless of their experiences. Those with mental trauma who were unable to mask their symptoms were initially simply interred in asylums in jail-like conditions if they had no relatives willing or able to care for them, and later one of the country’s three dedicated care homes. While they were classified under the 1911 Mental Defectives Act as either “idiots”, “imbeciles”, “epileptic” or “feeble-minded”, they were at least distinguished in the popular press as “broken heroes” deserving of sympathy, as opposed to the incurable criminal elements and sexual deviants that civilians represented. There is little I can say about the subjective experience of shell-shock, and the resulting strain on survivors and their families. As we all know, the vast majority of survivors chose to suffer in silence rather than expose themselves to shame and ridicule. But there’s an excerpt from one soldier’s diaries that I’d like to read because I can see how easily it might come to me. I can imagine the man who was once Private Stark stepping outside into the beating heat of a New Zealand summer, looking across the foothills in a sea of dry grass and parched earth. The sun’s warmth on the back of his neck, the glare in his eyes washing out the landscape. And then, unbidden, the memory looms. No matter what year it falls in, the dawn service marking the Gallipoli landing is a big deal for white New Zealanders and some Maori. If you’re young and rich your family might send you to Cape Helles* itself, or if you’re an ordinary person like me you gather in the dark by your town’s cenotaph. I’ve been to many of the ceremonies myself, and as with so many other military events the casualties of Gallipoli are consistently described as a “sacrifice”. That’s always puzzled me, because the loss of something – even a life, even thousands of lives – is only a sacrifice when it is freely traded away to protect something. And yet no one in respectable politics ever seems to have the same answer when you ask what those soldiers were protecting. Sometimes they say each soldier fought for the man next to him, which doesn’t really answer the question. Sometimes they say the soldiers were protecting freedom, which makes even less sense in the Middle East of 1915 than it does now. Our current prime minister has even said that they died to preserve “living standards for future generations”. The only people who can all give you the same answer are military historians. They will tell you quite matter-of-factly that New Zealand and Australian soldiers were sent to lose their lives and limbs and minds on hills controlled by the Ottoman Empire because New Zealanders and Australians were subjects of a British Dominion, and British admirals and generals wanted to draw the Ottoman Empire’s troops and materiel away from a fight the Ottomans were winning on their northern border against the Russian army. This is an accurate answer, but it too cold and technical to be the answer we want. You will never hear it recited at a cenotaph. It may even inspire revulsion as it sweeps over the scale of human suffering involved. It is an answer we do not hear because memorial services are about thinking of human beings as individual people, rather than things. And when we think of them as people we cannot believe so much murder was more worthwhile than a piece of paper with the word “treaty” on it. There’s another answer which just as upsetting but more straightforward. By 1915, everyone was fighting other people’s wars and were too polite to stop. New Zealand and Australia were literally a world away from the hills they were dying on, but like the Ottoman Empire they had simply been picked for opposing sides. The Ottoman Empire’s ministers maintained power over their own subjects with German military aid, and the colonial administrators of Australia and New Zealand similarly depended on commercial ties with Britain to maintain their position. Likewise the powers of Britain and Germany had themselves arrived at a Great War because of mutual aid pacts, rather than an existential threat. And when the dead now numbered in the millions, there were no peace terms that could even begin to justify the slaughter – an exchange of a few hundred acres of land, a few thousand pounds of gold as reparations. Red Clydeside was bad enough for Lloyd George, but almost every power in the war at that stage feared they would be overthrown by their own subjects in a revolutionary situation unless they managed to grind another power down to total surrender first. So in the end, that was the sacrifice at Gallipoli: young men and children from New Zealand and Australia and modern-day Turkey, maimed and shot to death so that the political classes of all these countries could maintain their hold on power. Some might say none of this matters now, that the important thing about Gallipoli was that the deployment of New Zealand soldiers in their own units, their unity of purpose and the shared suffering that ensued brought about a new sense of national identity, distinct from Empire. Some even go so far as to describe it as the birth of a nation: this is certainly the view of history that the New Zealand government is now advancing. But I would argue that these commemorations and the historical ideas that underpin them are embraced by my country’s government because they are useful to the white establishment. Gallipoli as a dawning of national identity is a tragedy consigned to history, standing in stark contrast to the deep rift left by that other traumatic event in New Zealand history, the duplicitous Treaty of Waitangi. The history of the Treaty and the colonial administration’s breaches of it would be a series of talks all by themselves, but let us just say that the Crown’s intentions were clear: to assume control of the land at the Maori peoples’ expense through legislation and land grabs, massacres and mercenaries and every other trick in the book. It is for this reason that New Zealand’s white Race Relations Commissioner insists that Waitangi Day should be “just a holiday”, and our newspapers advertise “protest-free” editions each February. Gallipoli is so keenly remembered as a moment of national unity because it helps us forget Waitangi. Some New Zealanders might argue that we should remember both, and they would be right to do so. After all, in this era of state-sanctioned biculturalism, our dawn services also emphasise the role of Maori soldiers at Gallipoli: the 477 soldiers of the Native Contingent who arrived at Anzac Cove in August, to be reduced to just 134 men in the space of four months. But the Anzac version of history – heavy on camaraderie and mutual respect – is itself carefully crafted to remember Maori only where they are useful: far from brothers in arms, the British Empire’s administrators had initially refused to enlist Maori out of fears that sending them to battle whites abroad would encourage them to take up arms again when they were demobbed and returned home. The New Zealand Expeditionary Force’s commander, Major-General Sir Alexander Godley, only relented when it was realised that the Ottoman Empire’s soldiers could be considered an acceptably brown enemy. Even then, Maori were only to be elevated to the level of junior officer at best, while white men alone would decide whether they lived or died for the Empire. Meanwhile many Maori tribes were themselves far from enthusiastic about the war effort, with the imperial conquest known as Te Riri Pākehā – “White man’s anger” – still well within living memory. Those Maori honoured in today’s Gallipoli ceremonies were overwhelmingly recruited from the Arawa and other Iwi who had allied themselves with the Crown in the wars in the hopes that they would be spared the worst of the land grabs. For the Tainui in the Waikato and Maniapoto, the seat of the Kingitanga resistance movement, the sergeants would later return armed with a conscription order to drive home their obligations as subjects of the Empire. When their young men refused under the leadership of Princess Te Puea, they were jailed en masse in Auckland with the most influential agitators reduced to bread and water. Ultimately the Crown failed to send a single one of their Tainui prisoners into the war. I’m telling you all this because it doesn’t sound anything like the New Zealand that those in power were describing in the official commemorations. But if we let the people in power dictate our history, they will always shape it into a tool with which to control us. Gallipoli became the story not of colonialism and empire but of courageous Anzacs banding together – men of every creed and race, gathered here before thy face – and coming to the rescue, and that became the romance that lured the public into Vietnam and Afghanistan.We can only imagine how Gallipoli as a tale of greed and control might have changed the public’s attitude to later military operations. As the cenotaphs say, Lest We Forget. * Cape Helles is at the tip of the Gallipoli peninsular.